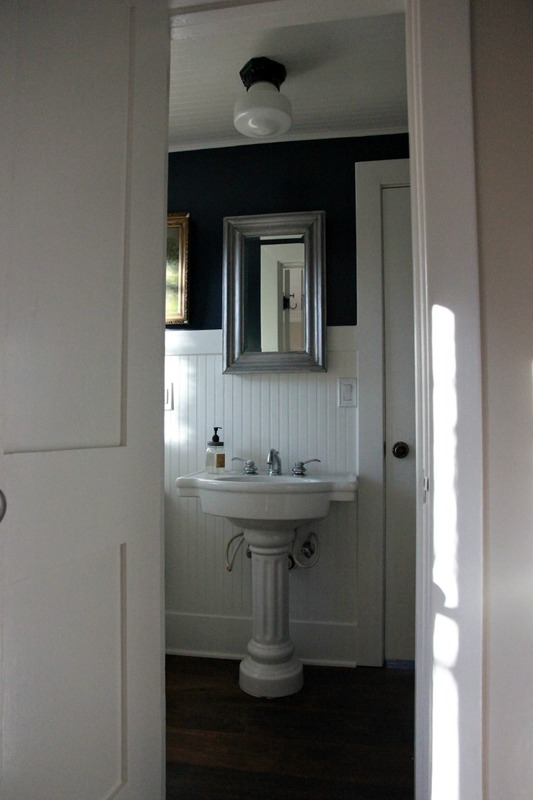 The hard parts of our house renovation are done so I can get back to sewing. Yay! 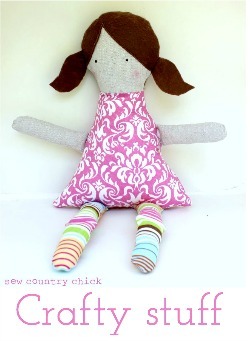 I get grouchy if I go too long without sewing! Something about the whir of a well oiled machine…. Recently, I had my small downstairs bathroom off the kitchen painted navy blue and white. 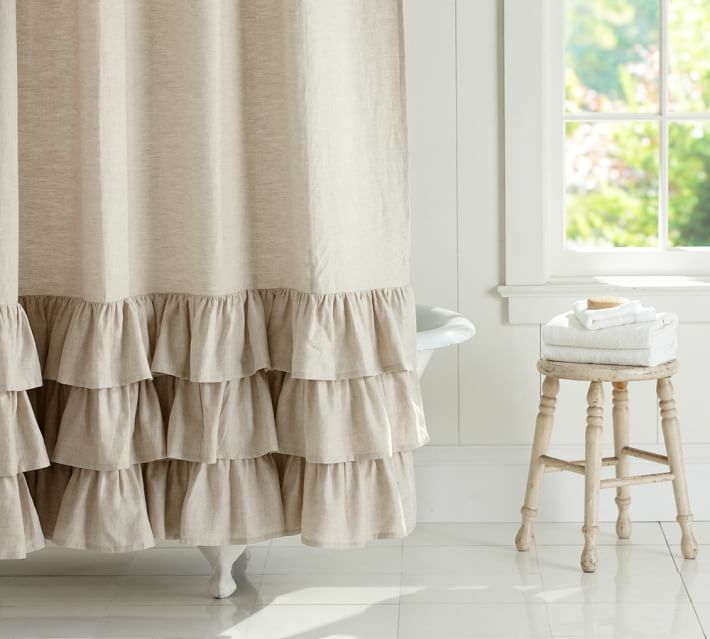 I wanted a linen shower curtain in a natural tone to hang in the room, but the ones I saw online were really expensive, and I was too lazy to sew a triple ruffle. One ruffle would do, The price of the Pottery Barn line shower curtain above was a hundred bucks, not including shipping or tax. I found my oatmeal colored natural linen for ten dollars a yard. I used just under three yards so my cost was less than a third of store bought. I already had the thread, so I’m not counting that. The quality of this linen is also better than the store bought versions, most of which are a linen cotton blend. 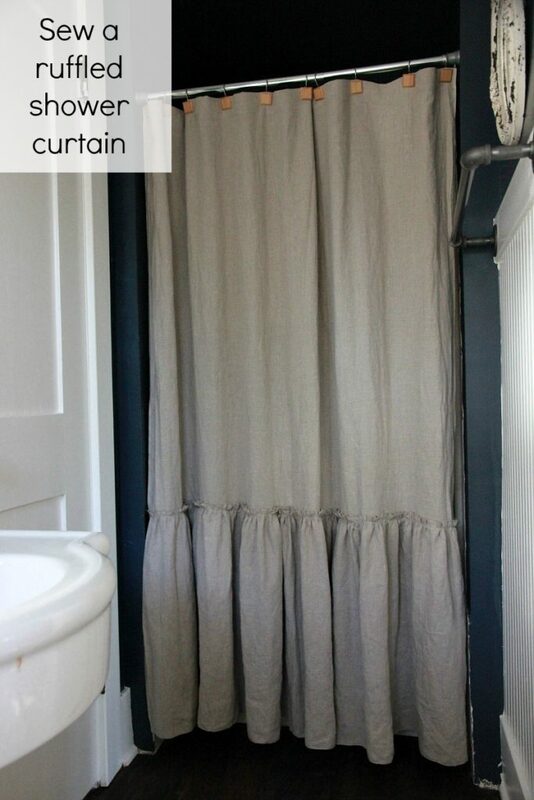 The only problem with sewing your own shower curtain is that you will have to make it a bit narrower than the standard width of 72 inches if you don’t want a seam in the curtain. The average shower curtain dimensions are 72 inched by 72 inches. My fabric was 54 inches wide and I left it unhemmed at the sides since I liked the tiny red stripe going down the selvedge. 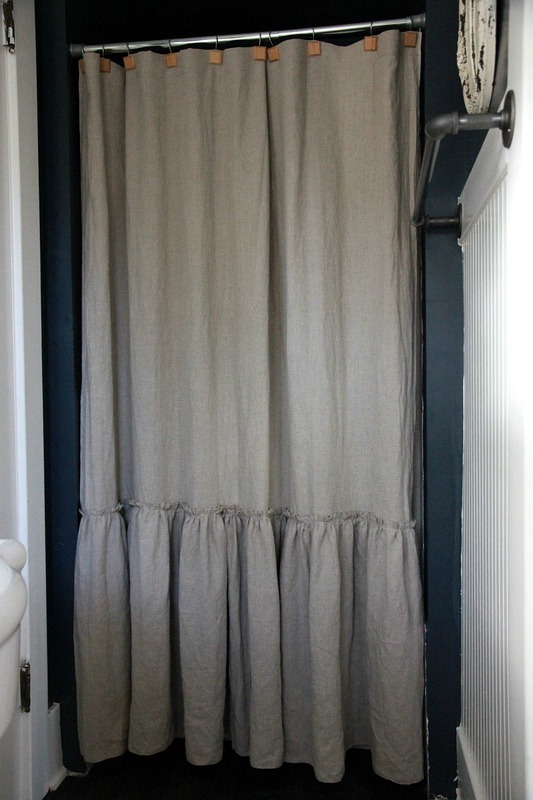 Since my fabric is only 54 inches wide instead of the standard 72 inches, it fits into the much more narrow shower area perfectly. If you were to sew a curtain for a larger tub enclosure, you could sew two panels together, making a luxurious 108 inch width curtain . But I only needed one panel, which kept my cost down. I only had to hem the top and then I made the buttonholes. The ruffle’s hem is sewn on the serger. I used my rolled hem stitch on my serger to finish the edges of the ruffle’s top and bottom, making this a very quick sew. 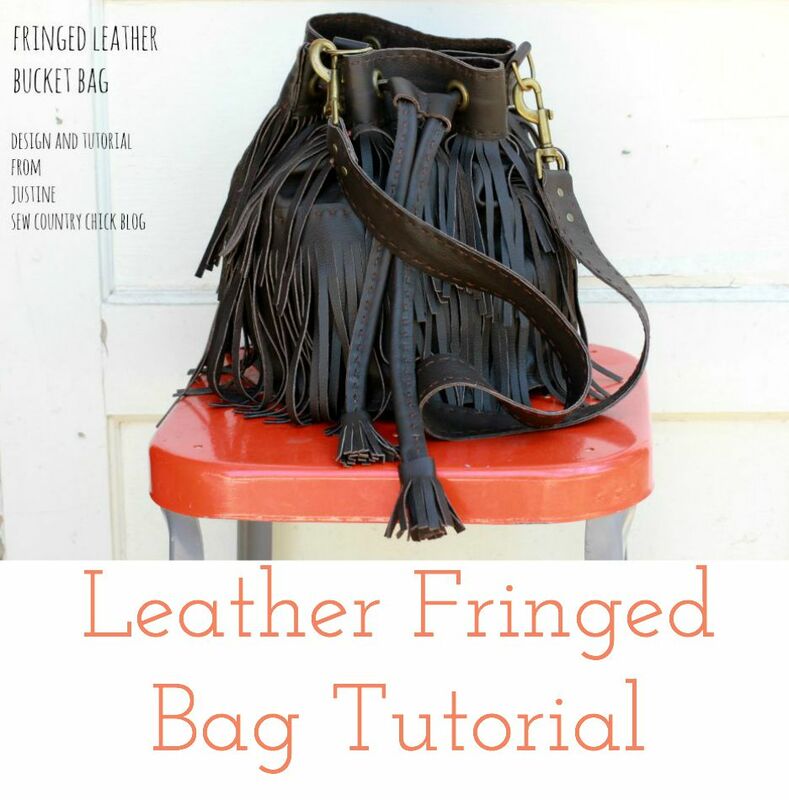 A zig zag stitch could also be used if one doesn’t have a serger. 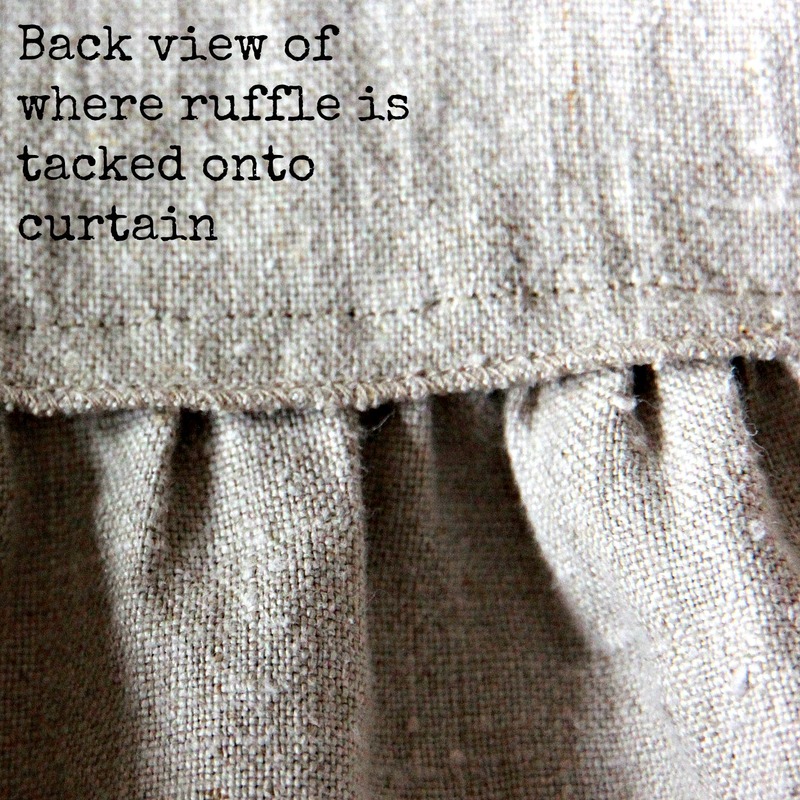 The ruffle is gathered and then sewn directly to the outside of the curtain bottom, giving a cute little extra ruffle in that spot. Curtain directions. 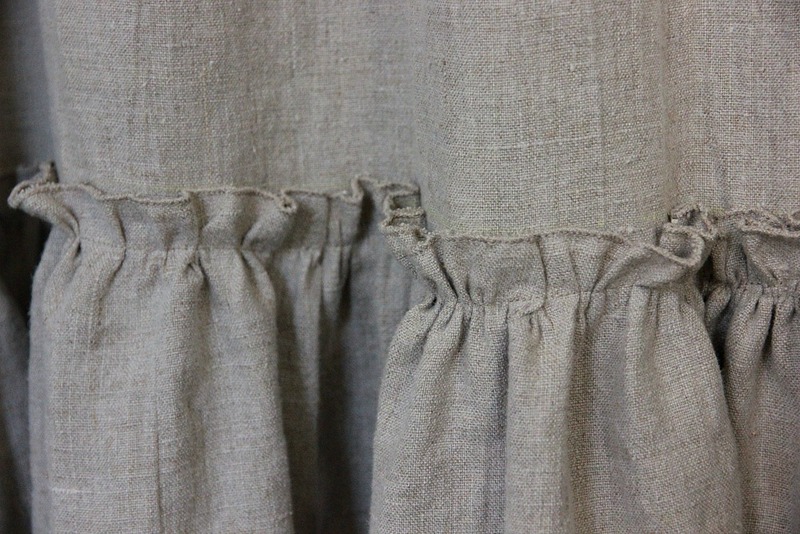 To sew the curtain, I pre-washed and dried my linen. Two 25 inch long pieces for the ruffle on the bottom. Fold top under 1/2 inch and press. Fold under again two inches and press. 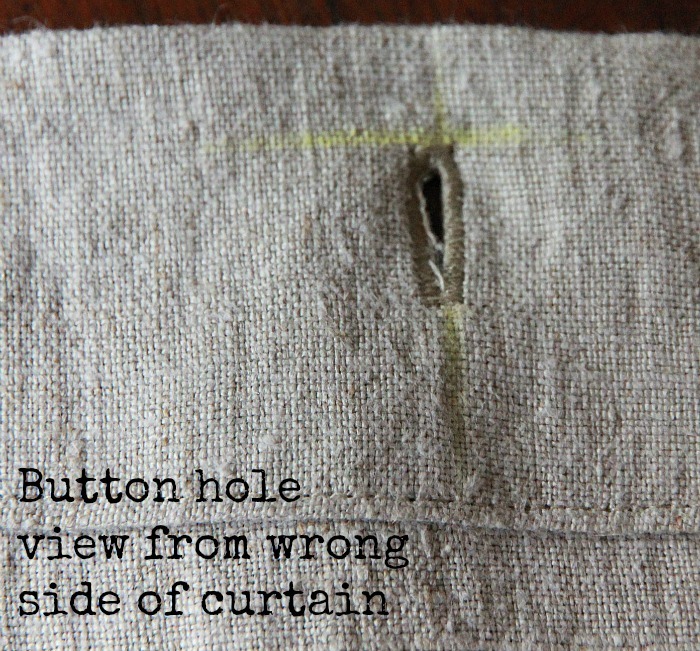 Sew vertical buttonholes to top of curtain every six inches. Leave a half inch of space between the top of the buttonhole to the top of the curtain. Finish the bottom of the panel with a serger or zig zag stitch. The ruffle will then be tacked on one inch above the bottom of the panel. Sew the two shorter pieces together at the selvedge, creating a piece double the width of the top piece. 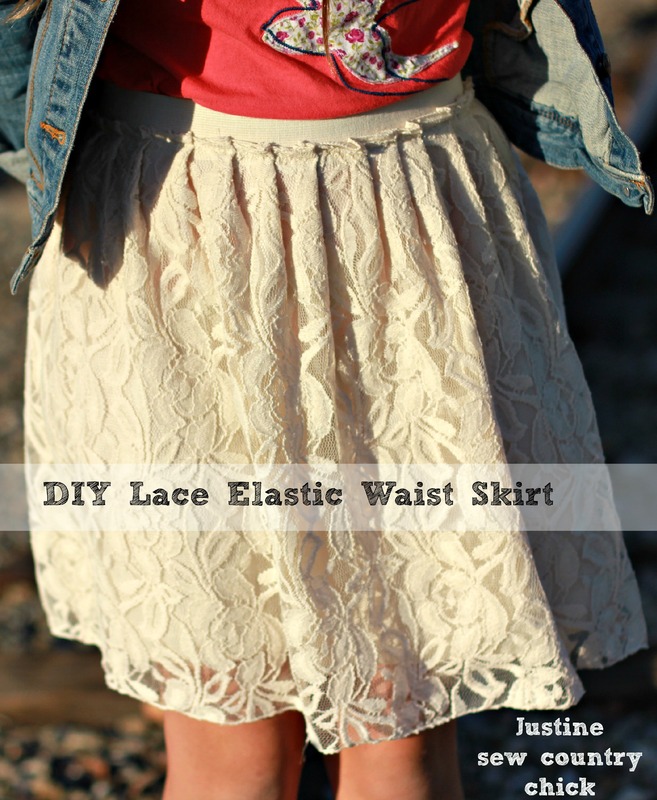 Sew a basting stitch along the top with a one inch allowance. Gather to fit the top piece. 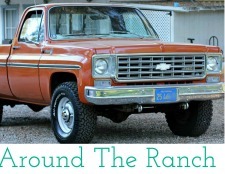 Tack onto the top piece one inch above the bottom of it.Pin it. Sew with a half inch seam allowance. Remove gathering basting stitch. Done! I love the buttonholes for shower curtain clips to hold up the curtain. I have used strips of complimentary fabric down the middle of my curtains to eke out too narrow curtains. It actually looked better and still gets comments from people. 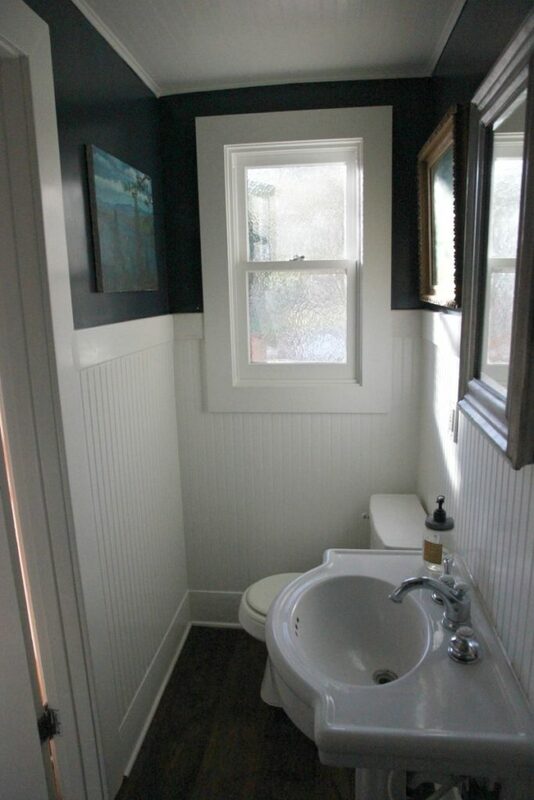 Your bathroom looks wonderful and the shower curtain shows wonderfully. 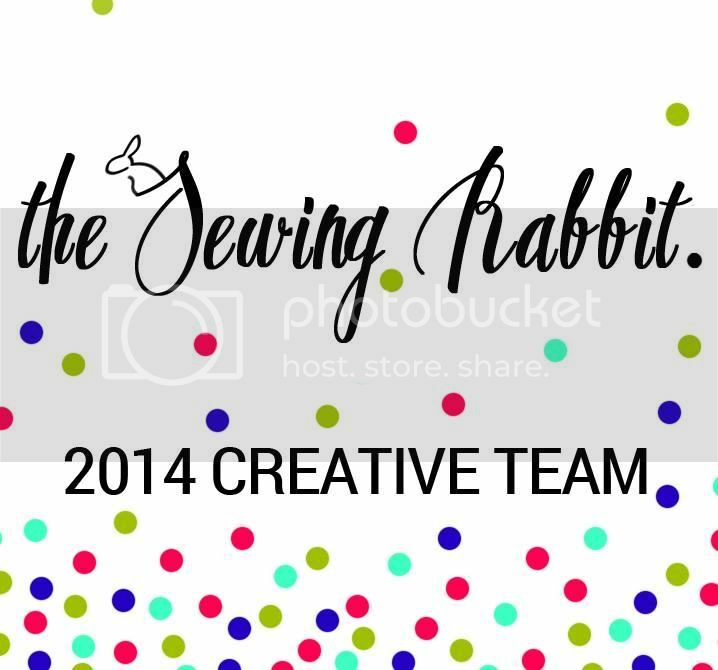 It is amazing how well people can create terrific effects with a little sewing skill. 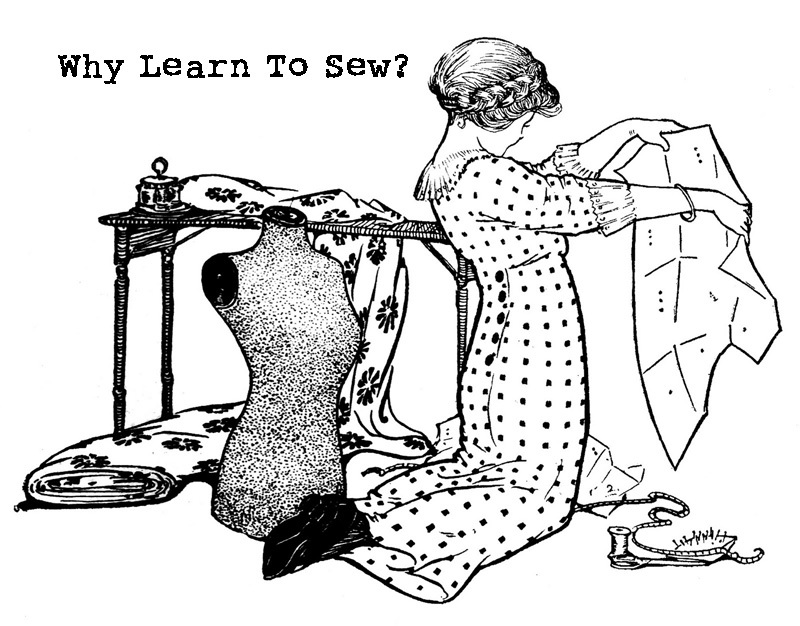 I know some people who can’t reliably sew a button (one of my nieces). She relies on her mother and me for some home decor and special occasion wardrobes, but the time will come when we are not going to be here. Lord help her then. 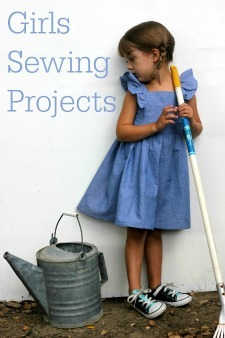 Justine, I hope your kids take advantage of your sewing expertise to learn a few things! Thank you Karen! I wish my girls were more interested in sewing. They know some basic stuff. My son is the best at sewing and made some curtains for his van. I know he would love to learn more but is out of the house now. Now that’s what I am talking about, Justine! You are awesome with your creations that you take on. I love your shower curtain. I made mine several years ago. I used 45″ fabric, but made two separate panels that meet in the middle. Just for something different. Instead of button holes, I used 1/2″ grosgrain ribbon to make ties at the top that are tied above the shower rod. 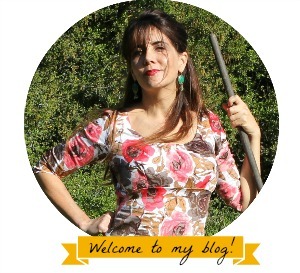 It is very cool, different, and uniquely mine. 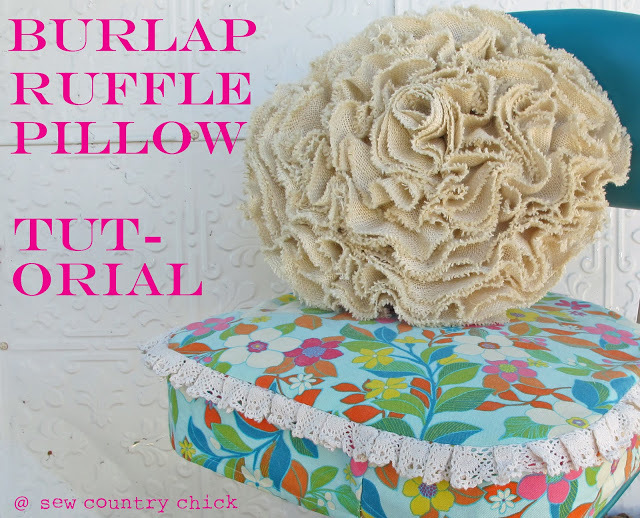 I really like how you did your ruffle! 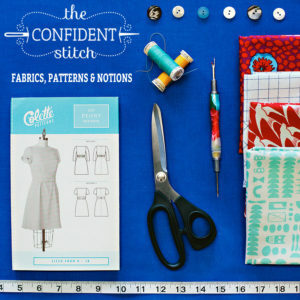 Love your blog, keep up the good stitchin’! Thank you so much, Loretta! Stitch on!